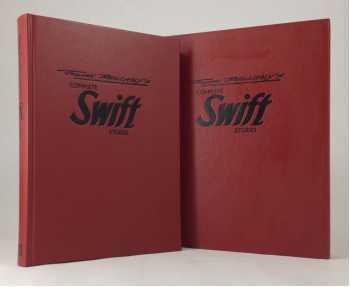 This is the Deluxe Leatherbound Limited Edition in its own matching embossed red leather slipcase. It is marked "P. Proof" (for Publishers Proof) on the title page. 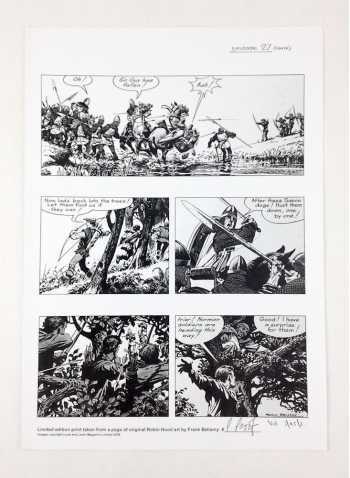 It also includes a Limited edition Robin Hood print marked "P. Proof." Most Publishers Proofs were given to contributors and staff. 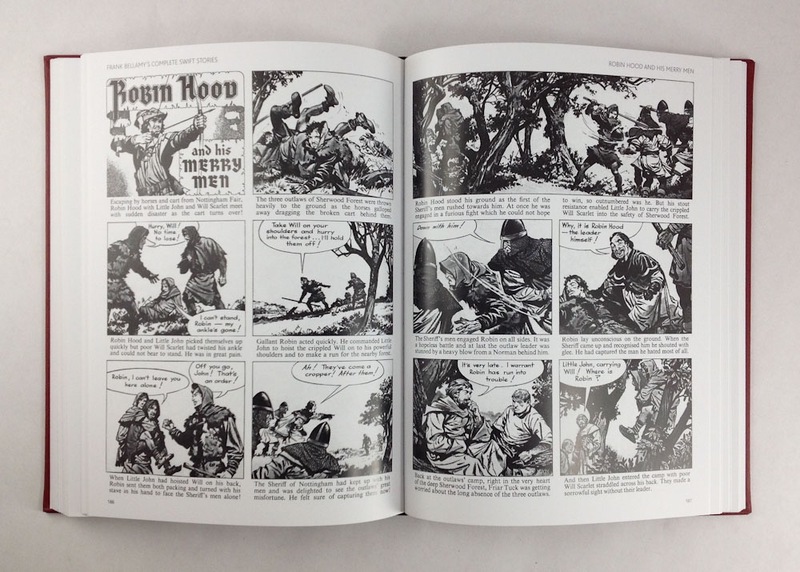 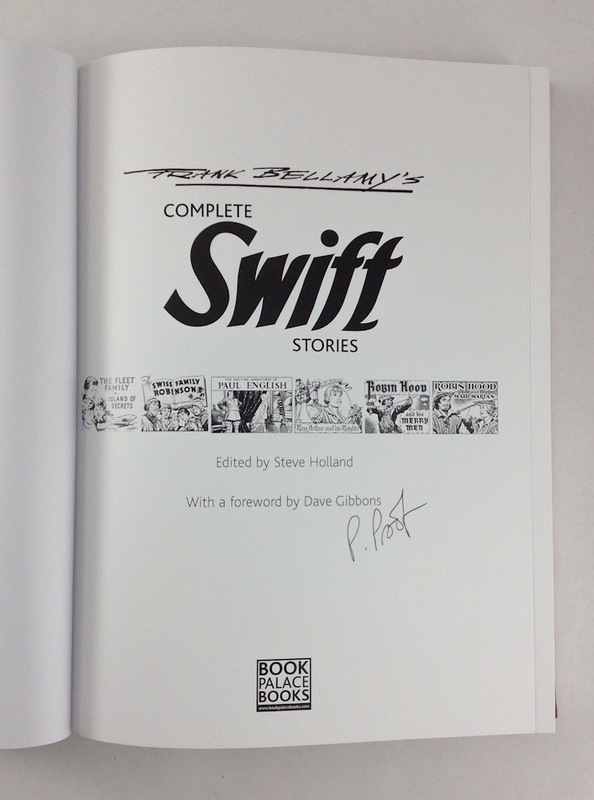 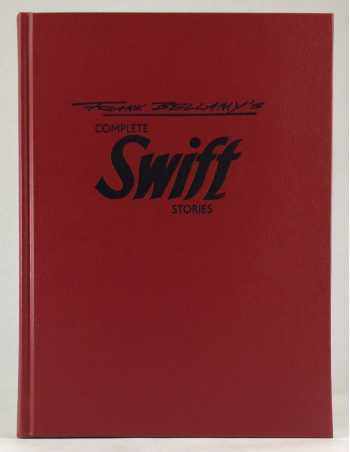 This book brings together every strip and illustration produced by Frank Bellamy for the classic British children's comic Swift, and contains the complete adventures of "Robin Hood", "King Arthur and His Knights" and "Swiss Family Robinson", plus his contributions to other strips ("The Fleet Family", "Paul English") and the Swift Annual. 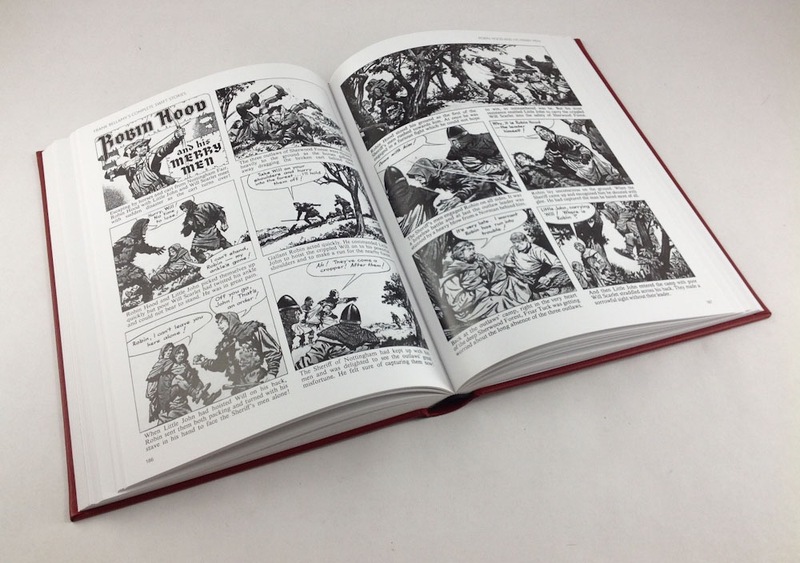 All editions of this book are now out of print and this book will not be reprinted.